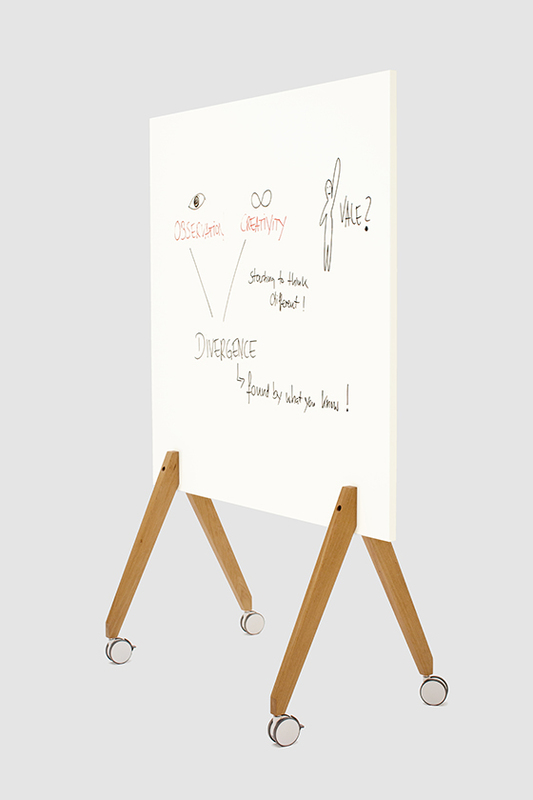 The Jack White on Tour whiteboard can be rolled into position to captivate audiences, attract attention, and keep the ideas flowing. 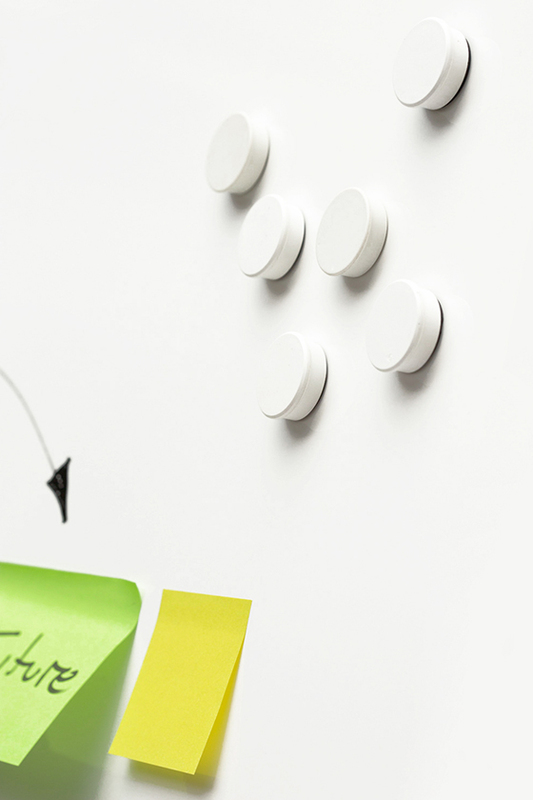 Magnets, post-it notes, whiteboard marker pens - all are compatible with Jack White on Tour. 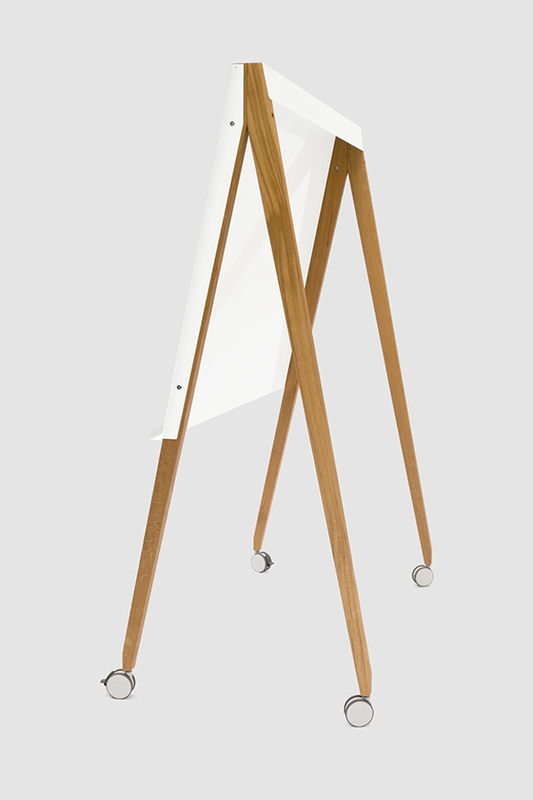 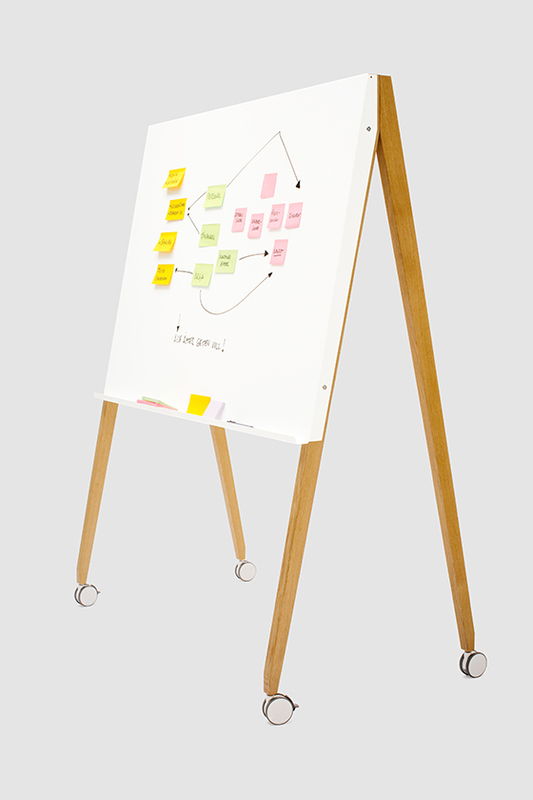 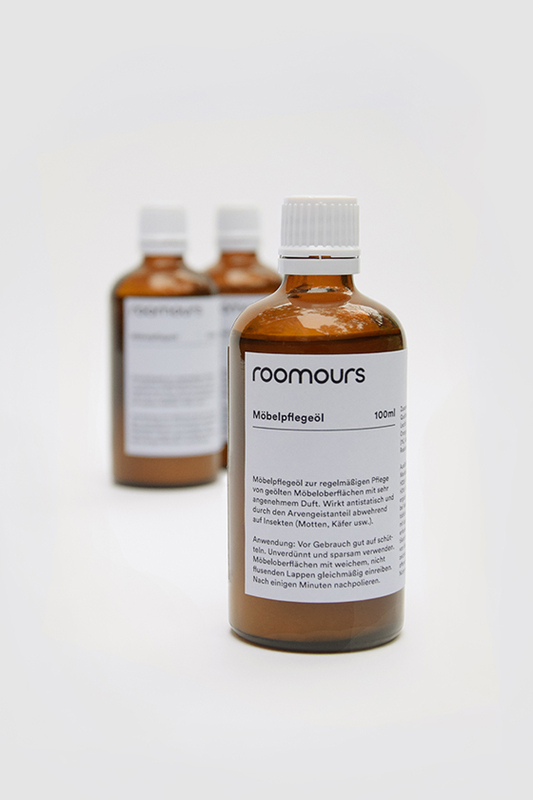 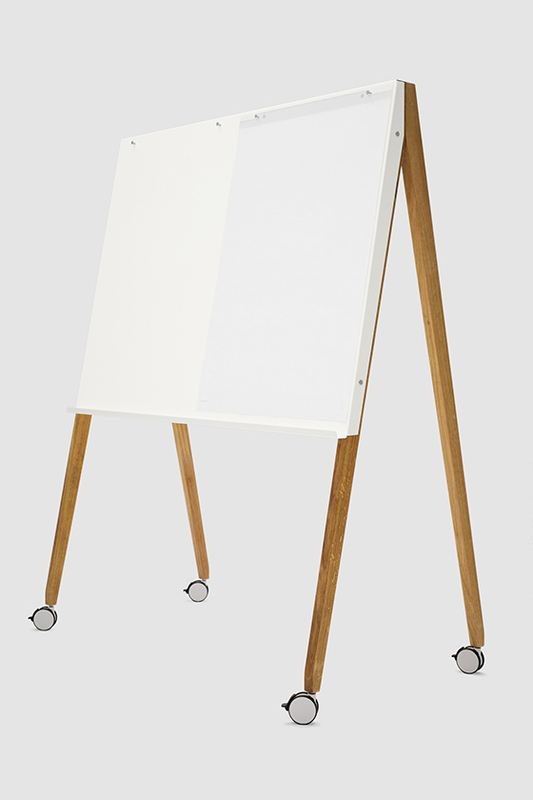 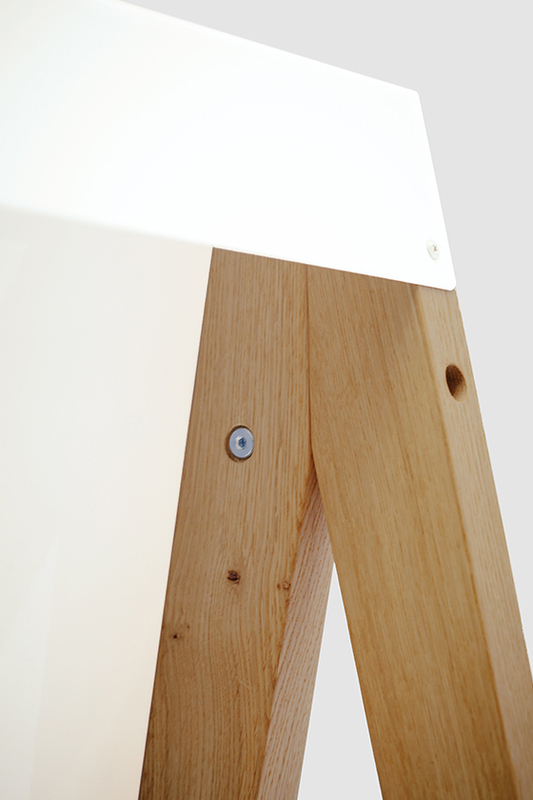 Its perfect companion - the narrower Charter on Tour flip chart, which is made from the same wood and creates a perfectly matched whiteboard-flip chart duo. 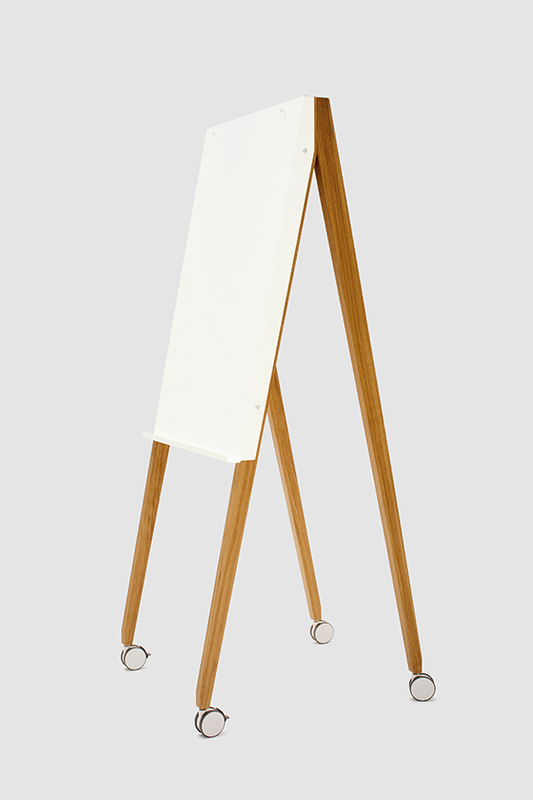 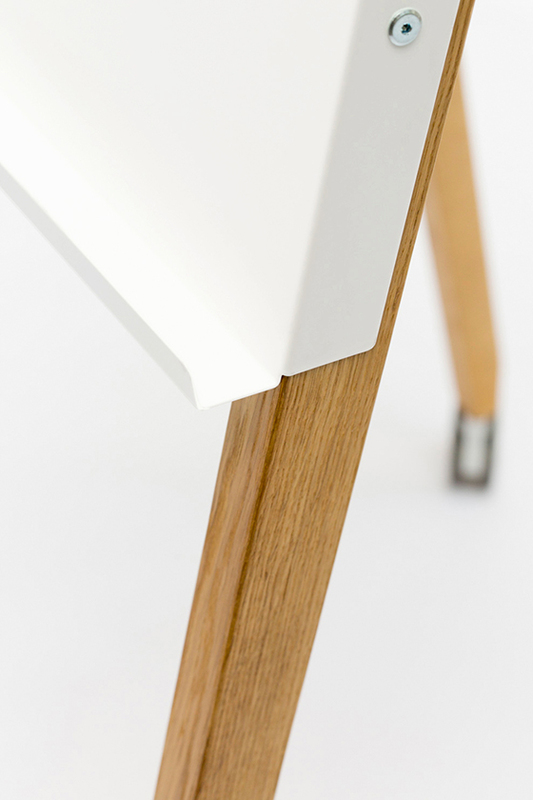 The sides are made of oiled oak, with four castors, two of which are lockable. 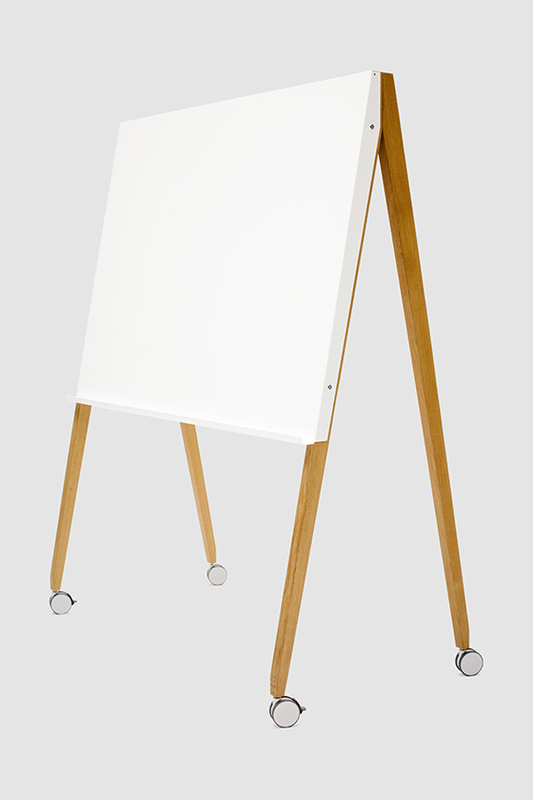 The board is made of white, powder-coated, magnetic metal. 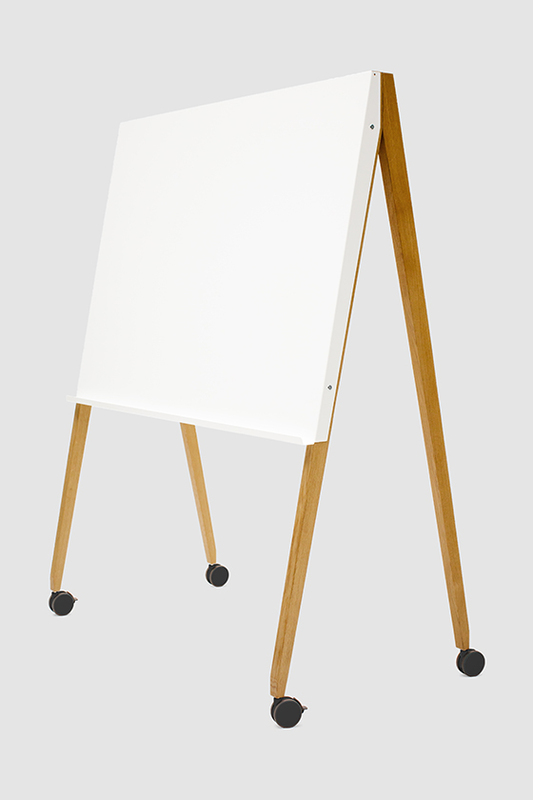 It has a dry erase surface that is compatible with all common board marker pens. 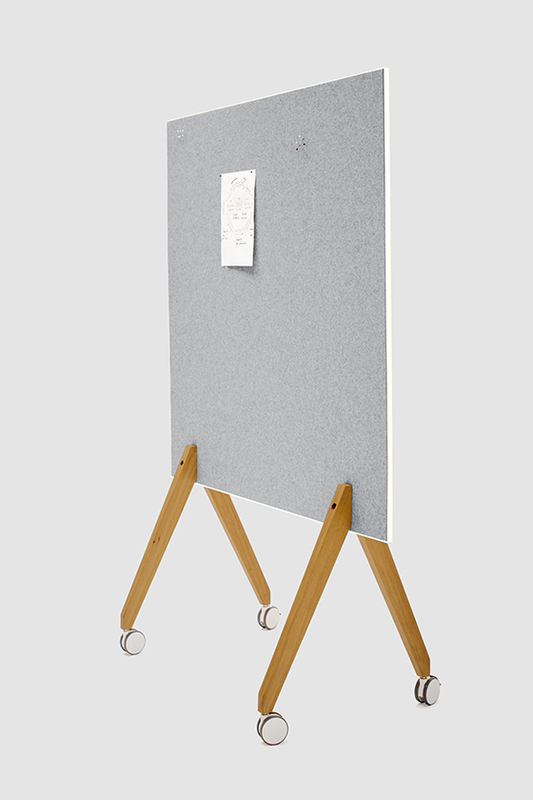 In addition, Jack White on Tour can also be ordered with attachment pins for one or two flip chart pads.